Originally from a small town in Central Oregon, Jamie moved to New York in 2013 to attend the University of Rochester. After graduating with a B.A. 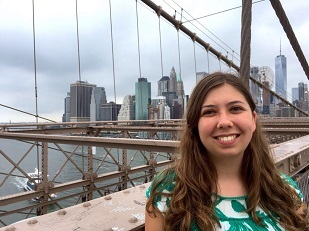 in anthropology and English communications, she joined Rochester Youth Year, an AmeriCorps VISTA program, and was placed at the Gandhi Institute. After wrapping up her year-long program in August of 2018, Jamie was hired as a permanent Gandhi Institute staff member. She currently pursues her interests in social justice media, graphic design, community outreach, food justice, and urban agriculture (among others) as the Institute’s Marketing & Special Projects Coordinator and Garden Manager.